Which Mascara and Eye Pencil is the Best for Smoky Eyes? 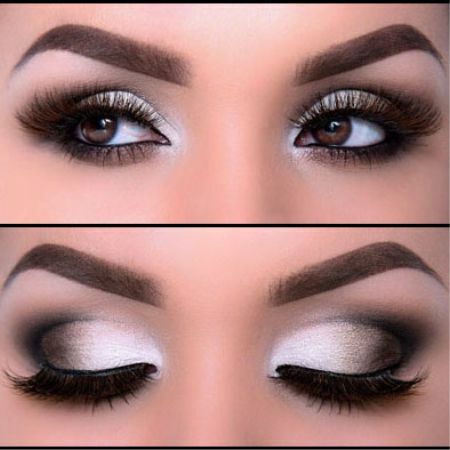 Smoky eyes make-up has always been very popular. This type of make-up is unique and practical at the same time due to the fact that it can be used as daily or evening make-up. 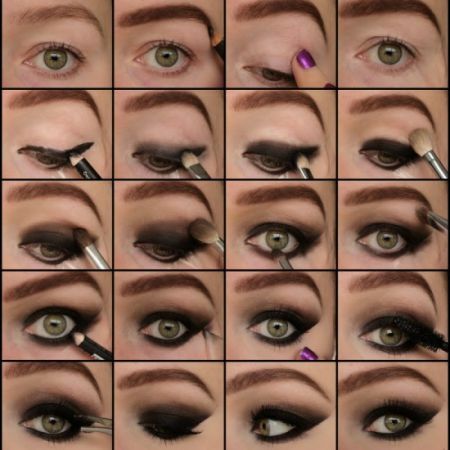 If you choose smoky eyes make-up you need to follow several very important instructions. First of all you need to have an ideal face tone which can be achieved with the help of different types of corrective cosmetics which can be found in every shop. You should avoid having even the slightly shadow of tiredness. Otherwise your make-up will have a bad look. That is why you need to use different correctors which will help you to hide drawbacks and disadvantages. Which Mascara and Eyeliner is the Best for Smoky Eyes? Now you need to create a correct shape of your eyebrows. Their line must be perfect. You should use the color which is close to the color of your hair. However it doesn’t mean that blonds should have their eyebrows of the same color as their hair. You should choose shadows and eye pencil which have a lower tone. Some gels can be used in order to create a perfect line of your eyebrows. In conclusion your make-up must be added with a lip gloss that will make the full picture completed. You should pick up natural colors in order to make an accent on your eyes. 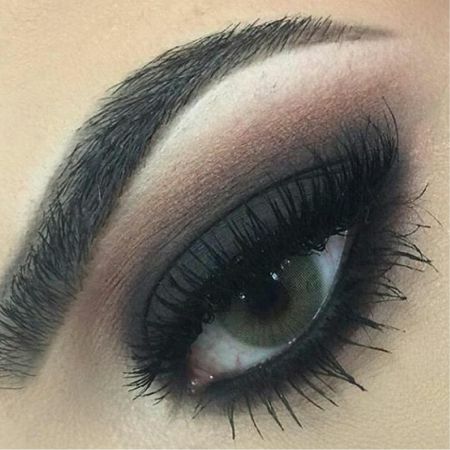 You are recommended to use as much mascara as possible while creating a smoky eyes make-up. It can consist of 2 or 3 layers of mascara. You can use different kinds of mascara with extra volume, endless length or curl effect. It will make your look mysterious and at the same time attractive and expressive. You can also make experiments and choose mascara of different color. It can be chocolate or violet. Both of these colors will suit smoky eyes make-up. However most of experts recommend using coal-black Volume Express Black Silk mascara form L’Oreal as well as 100% Volume Mascara from Maybelline. Which Eye Pencil is the Best for Smoky Eyes Make-up? You are not supposed to use liquid eyeliners while creating smoky eyes make-up. The best choice is a soft eye pencil which is easy while shadowing with a brush. Some companies produce eye pencils for all purposes. Most of them will come in handy while creating smoky eyes make-up. There is a soft lead on the one side of the pencil and a brush on the other side. It will turn out to be a perfect tool for those who like smoky makeup. The main rule of smoky make-up is a smooth turn from one color to another. You should start with making a line by means of your eye pencil on the upper eyelid and a thin line on the lower eyelid. You can use black, grey, dark-brown, dark-green and blue pencil. It will turn out to be the basic for the future make-up. In some cases you will need more shadows especially when it comes to evening make-up. However it can lead to some nasty consequences as they can create an unpleasant wad in the corner of your eyes. That is why you need to powder your eyelids in advance. Like the article «Which Mascara and Eye Pencil is the Best for Smoky Eyes?»? Share it with friends!